The Paris Agreement created a broader and more flexible climate regime, in which countries make national pledges, which are then subject to international review, and which must be increased every five years. The brilliance of this new model—especially relevant after the US election—is that countries’ actions are no longer strictly conditional on other countries’ actions, a dynamic that bogged the climate regime into gridlock for two decades. As if often the case for new international initiatives, especially innovative ones, the practice has lagged behind the theory. The Champions only began their work halfway through 2016, and resource constraints and ongoing organizational questions limited their ability to maximize their potential (for example, many of the individuals supporting the Champions were working on a volunteer basis). 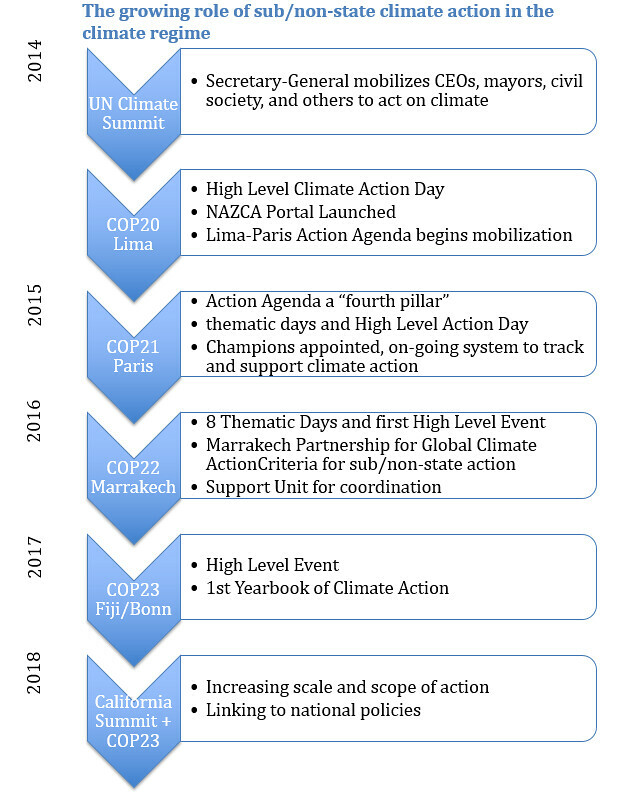 Still, the results have been impressive, with several new initiatives launching during the eight thematic GCA days held during Marrkech, and a High Level Event that saw the launch of a new $1 million prize from the King of Morocco for bold climate action. Thomas Hale is Associate Professor of Public Policy at the Blavatnik School of Government, University of Oxford. His research explores how we can manage transnational problems effectively and fairly. He seeks to explain how political institutions evolve--or not--to face the challenges raised by globalization and interdependence, with a particular emphasis on environmental and economic issues. He holds a PhD in Politics from Princeton University, a masters degree in Global Politics from the London School of Economics, and an AB in public policy from Princeton’s Woodrow Wilson School. A US national, Hale has studied and worked in Argentina, China, and Europe. His books include Between Interests and Law: The Politics of Transnational Commercial Disputes (Cambridge 2015), Transnational Climate Change Governance (Cambridge 2014), and Gridlock: Why Global Cooperation Is Failing when We Need It Most (Polity 2013).